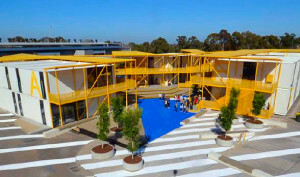 Monash College’s new Learning Village is a dedicated learning and teaching space for Diplomas situated at the University’s Clayton Campus.The buildings feature 50 and 100 seat lectorials as well as large collaborative learning spaces for students. 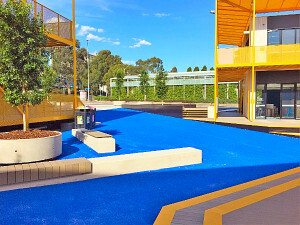 The landscape surrounding and connecting the 6 modular double-story buildings was completed by PTA Landscapes last month. 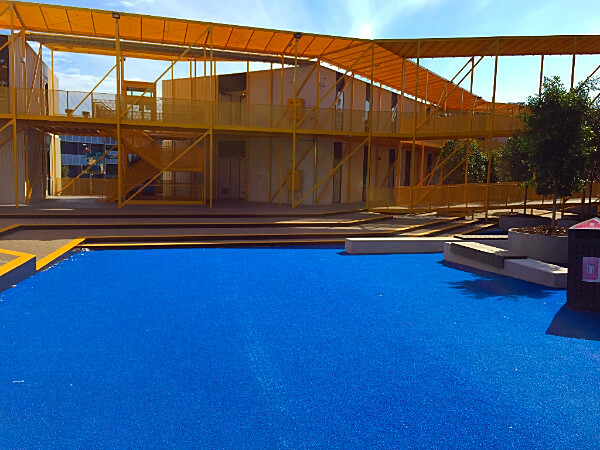 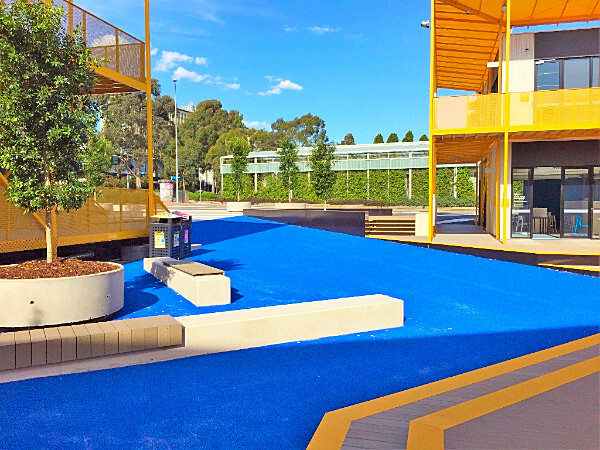 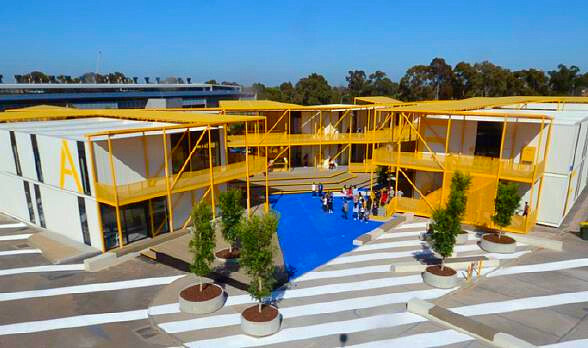 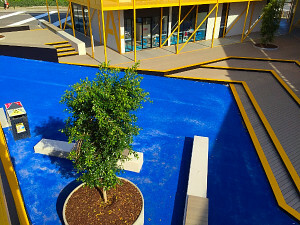 The bright blue synthetic grass forms a central courtyard area that pops amongst the bright yellow modular buildings. 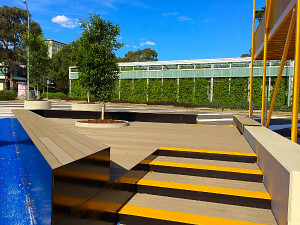 A series of raised platforms were constructed from composite decking made from recycled plastic. 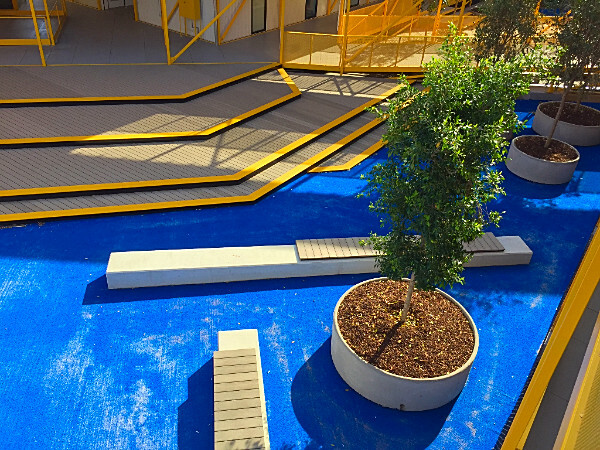 These platforms offer durable outdoor meeting and study zones. Stock trough planter boxes surround the grass courtyard, with mature trees planted in each one. 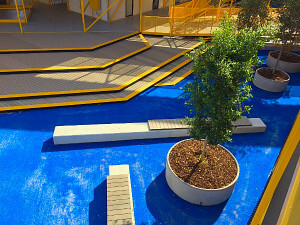 PTA Landscapes’ construction works included; installation of stock troughs and planting of trees, installation of irrigation system, construction of composite (recycled plastic) decking boards and sub frame, installation of safety stair nosing and synthetic grass and sub base.